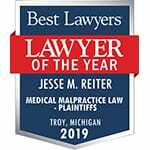 Does Tort Reform Put Patients At Risk for Medical Malpractice? Does Tort Reform Put Patients At Risk for Medical Malpractice? Does Tort Reform Put Patients At Risk for Medical Malpractice? The Current State of Tort Reform in the U.S. Many state legislatures have enacted some form of tort reform in response to rising insurance premiums for physicians and other medical professionals. In total, 32 states have established a particular type of medical malpractice award cap with varying amounts and applications. Some legislators in these states believed that juries awarded claimants excessive funds for their medical malpractice claims. They also concluded that these excessive jury awards drove up the price of insurance for doctors. The legislators surmised that they could help drive down malpractice insurance premiums by imposing caps on awards. As it turned out, insurance premiums and insurance company profits continue to rise in the states with tort reform. Although tort reform may sound like a good answer to runaway health-care spending, it ultimately does more harm than good. Medical malpractice payouts are less than 1% of total U.S. health care costs. Many health economists and independent legal experts do not believe that medical malpractice claims are adding to the cause of rising health care costs. They believe that the medical errors that malpractice liability tries to prevent are themselves a huge cost, both to the injured patients and to the entire health care system. According to Harvard University economist, Amitabh Chandra, annual jury awards and legal settlements involving doctors amounts to a “drop in the bucket” in a country that spends $2.3 trillion annually on health care. How Are Injured Patients Affected by Tort Reform? One large complaint about tort reform is that it prevents injured patients from getting their day in court. Most attorneys are unable to take on cases that are not financially viable. For example, Texas has capped medical liability for non-economic damages at $250,000 per health care provider. This has made it more difficult for patients to win damages in any health care setting. After the costs of the case are deducted from the reward, many injured patients are left with little to nothing. As a result, many lawyers are unwilling to take on these cases, knowing that the injured party will have gone through the difficulty of a trial only to receive little or no compensation for their effort. Another argument against tort reform is the belief that reducing the volume of lawsuits ultimately makes doctors more complacent when it comes to patient care. For instance, to file suit against an emergency room doctor in Texas, lawyers must prove that the doctor acted negligently in a “willful and wanton” manner. This means that a medical professional not only put the patient in extreme danger but also did so intentionally. Many malpractice attorneys believe that this is not only a nearly impossible threshold to meet but also that it creates a very low standard of care for patients. 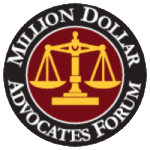 Many people believe that physicians and medical professionals who fear lawsuits will be more accountable for their actions and, ultimately, provide better, more consistent patient care.